Organizing is my passion and so is helping others. I get great joy watching my clients go from overwhelmed and stressed to motivated and enthusiastic. Clients have had tears of joy and given me and my team members hugs after one session. This is why we love what we do. We get to know each and every one of our clients to find out exactly what their goals are and we work towards obtaining those goals. Kathy McEwan is an organizing and productivity expert. 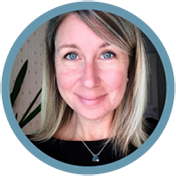 She has a Bachelor of Arts Degree majoring in Sociology, is a previous Chair of the Professional Organizers of Canada – Ottawa Chapter, and has certificates of study in Chronic Disorganization, Basic ADD Issues, Time Management and Productivity, and senior move management. 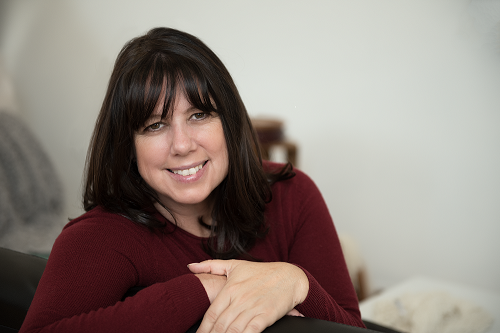 Kathy believes in continuing education and continues to take courses on Organization, Chronic Disorganization, ADHD, OCD, and more. Kathy McEwan also won Faces Magazine Award for 2017’s Ottawa Favourite Professional Organizer. Kathy provides fun and educational workshops, does speaking engagements to small businesses, corporate and government employees, entrepreneurs, students and busy moms. Kathy has also been featured in local media outlets. To find out more on Kathy’s workshops and speaking engagements, please visit kathymcewan.com. Kara is dedicated to making a difference in our clients’ lives. She has helped numerous Second Set of Hands clients declutter and get organized. Kara has always had a passion for helping others, and does so by providing caring and non-judgmental organizing services. She also helps our clients with packing and unpacking needs. As a lead organizer, she is also responsible for assisting Kathy with training of new staff. Kara often works with clients in the west end of Ottawa to downtown Ottawa, Kanata and Stittsville. Kara is amazing and we are so glad to have her on our team. Joanne has an in-depth knowledge of graphics and design. Her artistic ability is valued as she develops and implements marketing and social media campaigns. 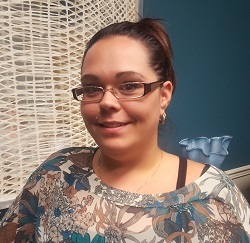 Joanne is also responsible for some of our office administrative duties and we are so happy to have her on board. 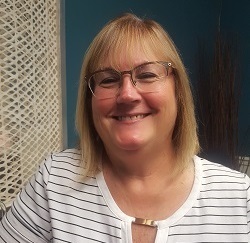 Having moved many times, Joanne knows the best method of packing and unpacking and will often join our team of organizers to help our clients with their moving needs.Joanne has a wealth of knowledge and we are lucky to have Joanne as part of our team. Louise provides organizing services in a caring and patient manner. She has several years of experience working with the general public and is very compassionate. Louise also helps with our packing and unpacking jobs and is a great addition to our team. Natalie has a background in nursing and is passionate about helping others. She is our “Jill of all trades”. She has a very calm demeanour and provides excellent decluttering and organizing services. 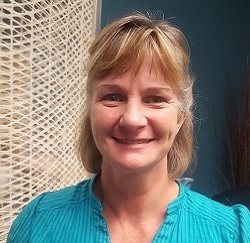 She also assists with our packing and unpacking jobs, and that is not all, you may find Natalie in our office doing administrative work, or out in the community explaining the many services that Second Set of Hands has to offer. We are very excited to have Natalie as part of our team. 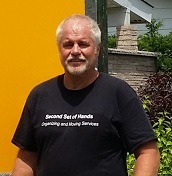 Doug’s role is to pack, unpack and also to remove larger items from our client’s homes. As an added bonus, when unpacking, he will also help hang your pictures and put shelving together. Our clients love the idea that they can come home to find this type of work all done. Doug has helped many of our clients get organized and we are thankful that he is part of our team.